Anglo American and BHP Mitsubishi Alliance (BMA) have expressed their commitment to rehabilitating key mining land in Queensland. In separate announcements, Anglo American and BMA demonstrated their environmental standards by pledging to return mined land to post-mining uses. 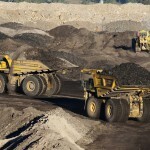 Anglo American will spend more than $162 million over a five-year period to rehabilitate five coking coal sites in central Queensland, with the majority of the spend being spent on two open cut sites. 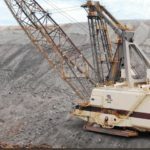 The company has committed around $83 million towards the Dawson open cut mine near Moura, and another $40 million will be spent on rehabilitating the Capcoal mine near Middlemount. The company’s rehabilitation work at Dawson commenced in 2012 and focuses on rehabilitating the mine area into grazing land. 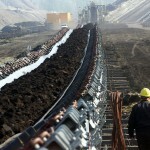 “Anglo American’s Dawson Mine has been leading the way in innovative rehabilitation approaches, including the successful rehabilitation of an area previously containing void highwall, and use of rehabilitated land for cattle grazing,” Anglo American’s Metallurgical Coal chief executive officer Tyler Mitchelson said. Meanwhile, BMA has received certification from the Queensland Government on two plots of land totalling nearly 1500 hectares. The plots include a 1176-hectare section of land related to the Gregory Crinum underground mine near Emerald (the largest tract of mining-affected land certified by the state government) and a 294-hectare tract at the Norwich Park mine. “It’s been a fantastic effort by our team, who’ve worked closely with the department to ensure its stringent rehabilitation standards have been met,’’ BMA asset president James Palmer said. “BMA is committed to its responsibilities to rehabilitate the land within its mining leases, and we continue to collaborate with the Department on further progressive certification. Queensland Resources Council (QRC) chief executive Ian Macfarlane also congratulated BMA and Anglo American after the certifications were announced. “Last year, the QRC worked with the Palaszczuk Government on significant reforms to the system for the rehabilitation of mines and the development of a financial provisioning scheme for the whole resources sector in Queensland,” Macfarlane said.